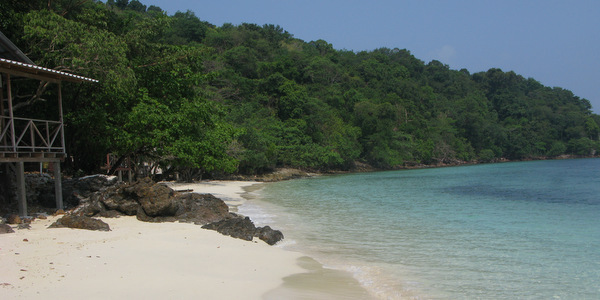 Koh Wai has some lovely small beaches along its north coast, each with their own resort or set of bungalows and you can walk from one to the next along the coast path. Easily accessible by boat and with safe shallow waters ideal for simple snorkeling, the Koh Wai beaches are also a magnet for the boat trips and so during the day, can get very busy. Once the daytrippers have gone, though, the beaches are perfect places to relax and forget the world, with your hammock never more than a few steps away. 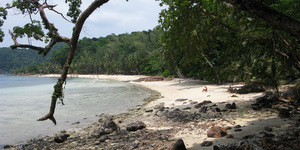 The pier used by Paradise Resort and Good Feeling Bungalows, at the top end of the island is the main entry point onto Koh Wai. As well as island-hoppers and speedboats from the mainland pier at Laem Ngop, the excellent beach also receives a steady stream of large tours. If staying here, your serenity is somewhat shattered by their arrival and mindful of this, the resort’s owners have roped off half of the beach for its guests. You can also walk to the far end to discover hidden away coves with their own charming little beaches, great spots hidden well away from any crowds. Back at the pier, Good Feeling Bungalows run their restaurant and offer rooms behind on the hillside. Striking out in the opposite direction, the coastal path hugs the coastline and within just a few minutes, reaches another beautiful stretch of sand. 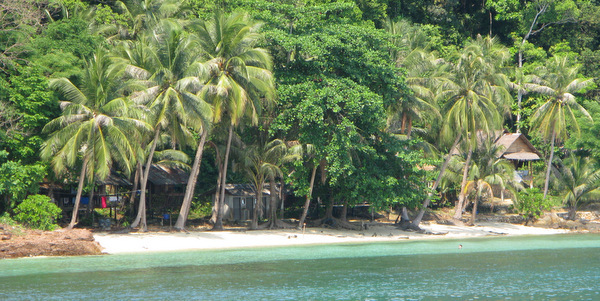 Here, Good Feeling Bungalows have the rest of their accommodation and the handful of wooden bungalows open directly onto the beach with its clear blue waters. Luckily, too, this area is daytripper free. Another few hundred metres around the twists and turns of the narrow track brings you out at Pakarang Resort, which sits on its own stretch of not so great beach, with a large pier and a octagonal conference room dominating the bay. They too receive boat trips in considerable numbers, normally Thai package tours, who are once more attracted by the good snorkeling, this time just in front of the resort. Shortly after Pakarang Resort, curious tanks flank the path with an incongruous two storey building on the hillside behind. These formed part of a now defunct government and National Parks project for rearing loggerhead sea turtles, a marine reptile which once flourished in the surrounding waters, but whose numbers have dwindled alarmingly. 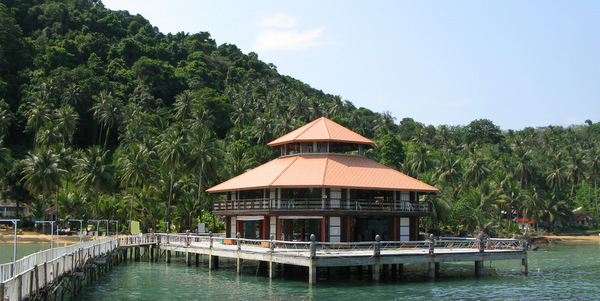 The final accommodation found on the coastal path is Ao Yai Ma (Grandmar (sic) Huts), which also has its own wooden pier and a restaurant perched up on the hill above. The bungalows sit on a small tidal inlet, which turns into a mudflat when the sea goes out but beyond it, two or three tiny bays along, are a couple of simply beautiful small white sand beaches. The boat trips have found this spot too, but their numbers are generally much lower than elsewhere on the island and early morning or late afaternoon, it is a fabulous spot to take a dip. Koh Wai Beach Resort is located much further round the coast from here and impossible to reach by trying to skirt round the shore-line. If you turn inland at Pakarang Resort, you can pick up the path, just ask at the resort for directions. There are also other trails and tracks which cross the island to its south and west side. In the south, it is mainly cliffs, with the odd small beach, whilst in the far north west, there is a sunset point. 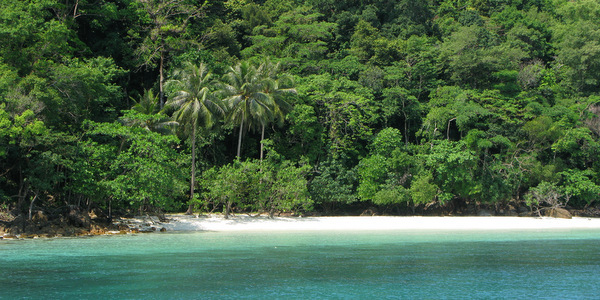 Koh Wai is a place to snorkel, swim, read, maybe kayak a little but most of all, simply relax and do nothing. Before the day trips arrive and after they have gone, it has a forgotten island feel and for some, perhaps couples, a week here is heaven on earth. For others, a few days proves sufficient to recharge the batteries but for many, calling in during a day trip provides enough time to get a sense of the place before returning to the real world. In the rainy season, May to October, the resorts on the island are most likely closed, so please check before setting off.